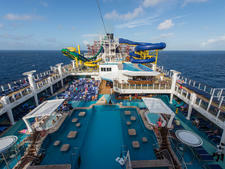 Need to take the vacation fun up a notch for your fifth, 10th or 25th cruise? Want to make sure your first sailing is your best holiday ever? Hope to celebrate a birthday, anniversary or graduation in style? Don't leave the vacation fun to chance. Cruise ships are rife with opportunities for romantic moments, touching surprises and group bonding. Seek them out, and you'll take your next holiday at sea to the next level. While it's true that some of the best ways to upgrade a cruise vacation involve spending a bit of extra money, many options are free or relatively inexpensive. So, whether you're booked into the cheapest inside cabin on a discounted shoulder-season sailing or the top suite on a luxury line for a summer cruise, you can afford to transform a typical vacation into the event of the year. Here are our favorite tips for making your cruise extra-special. Why wait until you get onboard to start the celebrations? There are plenty of things you can do pre-cruise to make this vacation stand out from all others. Splurge on a new bathing suit, casual cruisewear or formal outfit to show off on the cruise so you've got something extra to look forward to. Or, upgrade your travel arrangements by flying first-class to your homeport, staying in a luxury hotel or spacious suite for a day or two before you board or hiring a limo to drive you to the port. These decadent moments will set the right mood for the rest of the holiday. Read this: Save some money while you're booking so you can go shopping beforehand with our guide on how to budget for a cruise. If you want to treat friends or loved ones right, don't confine them to a cramped, windowless inside cabin. Instead, go for broke with a balcony cabin or suite, though you will pay hundreds -- or even thousands -- of dollars more, depending on the ship, sailing and stateroom. Sticking to a budget? Try booking the lowest category of balcony cabin during a shoulder-season sailing, taking advantage of upgrade sales during Wave Season or snagging a guarantee cabin. It's definitely worth the money when you can spend sea days relaxing in peace on your private verandah, rather than fighting the hordes on the pool deck for a lounge chair. To make use of the space, indulge in a room service dinner, served in your suite's dining area, or throw a cocktail party in your spacious digs for your travel companions or newly made friends. Plus, the suite life may entitle you to V.I.P. treatment, such as priority tendering, access to concierge lounges or first pick of reservations for specialty dining and shows. Now that's how you travel in style. Read this: For the ultimate upgrade, here are our picks for the best suites at sea. 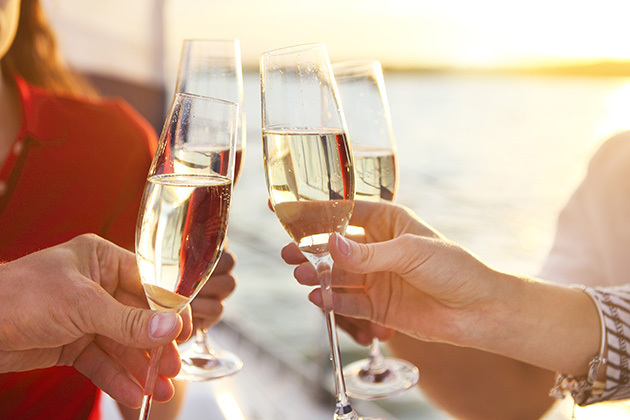 You could spend sailaway out on deck with the crowds, or you could surprise your cabinmate(s) with a special delivery of Champagne or chocolate-covered strawberries to enjoy as the ship speeds out to sea. Also consider having flowers or a fruit basket waiting when you get back from a day onshore. 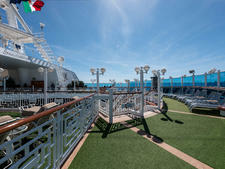 Most cruise lines offer menus of sailaway gifts or items that can be delivered to your stateroom throughout the cruise. 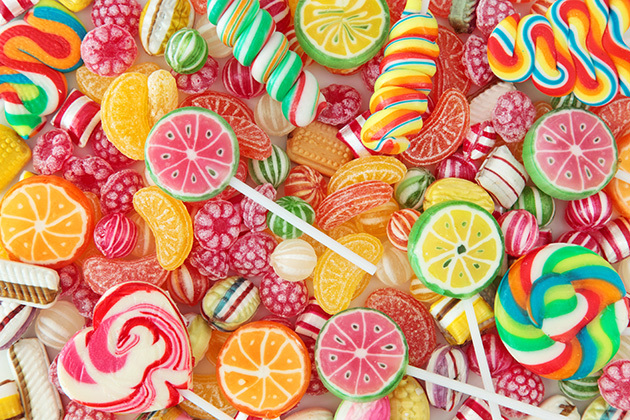 Beyond the typical snacks and flowers, we've seen some unusual Bon Voyage gifts -- including Disney's Star Wars-themed package (including a Star Wars pillow, fleece throw blanket and glow-in-the-dark decorations) that your cabin steward can set up in your room, and Carnival's delivery of a Candy Fun Box for those with a sweet tooth. And definitely let the ship know that you'll be celebrating a birthday or anniversary onboard. You might find your door or cabin decorated with balloons. Has your mom always wanted to eat at a Michelin-starred restaurant in Europe? Have your kids dreamed of swimming with sting rays, sharks or turtles? Is your husband itching to go fishing in Alaska? Make their dreams come true by doing some research on the ports of call and finding the perfect activities for your travel group. It could be as simple as locating a beautiful, secluded beach or dining on pizza in Italy, or as elaborate as flying to the Taj Mahal or going on safari in Africa. Just remember that while the cruise line offers some fabulous excursions, your dream day in port might be better arranged with a private tour guide or by making your own plans in advance. Read this: Want to know more about shore excursions? Start at the beginning with our first-timers' guide to shore excursions, or visit Cruise Critic's destinations pages for our shore tour recommendations. Order a cake to celebrate a special event, or request ahead of time that the chef prepares your favorite dish or a special menu for your table. Most cruise lines are willing to accommodate special requests with advance notice, and we say it can't hurt to ask. 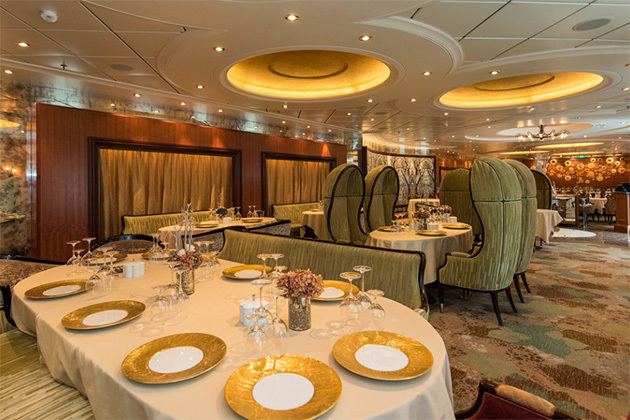 Read this: For our top picks for special dining, see our review of the best cruise ship alternative restaurants. We know that many cruisers balk at the thought of donning a gown or tuxedo just to have dinner on a cruise -- not to mention schlepping all the extra luggage to the pier. But there's something about getting all dolled up that can turn an ordinary evening into a night on the town. Maybe your sweetie will surprise you by asking you to dance in one of the lounges -- like the exquisite ballrooms on Cunard's three ships -- or treating you to a cocktail at a top-of-ship bar where you'll be seeing stars. Read this: What does "dressing up" mean on your ship? Find out in our rundown of cruise line dress codes. At least once, when you start thinking, "I'd really like to do that, but it's a little expensive," hush your inner accountant, and take the plunge. Perhaps you've always wanted to try a hot stone massage or order a fancy bottle of wine. Note the bejeweled bracelet your wife is eyeing or the piece of local artwork your dad has gravitated toward, and purchase it when her/his back is turned. 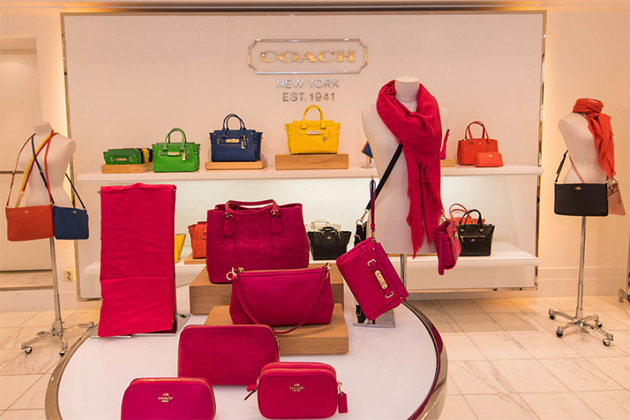 Or, pick up a surprise gift at a brand-name store onboard, such as Coach, Kate Spade or Michael Kors. 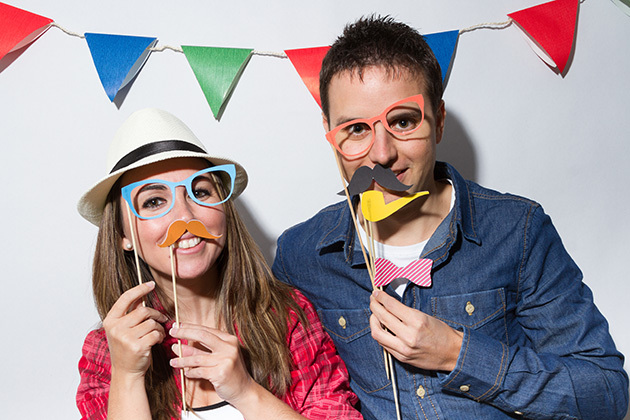 You don't have to get carried away and completely override your vacation budget, but a splurge or two on a special item or event is bound to make a lasting impression. Read this: Think you want to splurge on a pretty picture at ship auction? Make sure to read our guide to art at sea. You're on a cruise ship in the middle of the ocean, so don't waste all your time indoors. 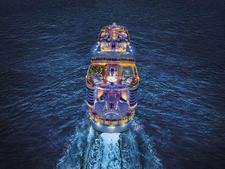 This is your chance to watch the sun rise or set, splashing dramatic colors over the never-ending sky at sea. Or sneak up on deck after dinner to gaze at the stars; you'll be surprised how many you can see when you've cruised away from land. Cuddle up with your sweetie under a blanket to watch Movies Under the Stars on a Princess cruise, shimmy and conga during one of Disney's or Norwegian's famous deck parties, or sip a drink at a bar tucked away on a back deck. For all-day sun, splurge on a cabana on cruise lines such as Norwegian, Seabourn, Holland America and Celebrity for fresh air, privacy and an I'm-better-than-you vibe. If you come from an urban, land-locked location, you may not get the chance to catch those sea breezes in this way during the rest of the year. Read this: Get out of your cabin with our recommendations for best sun decks. Photos create lasting memories of your vacations, and while candids can make wonderful shots, why leave it to chance? Some of the best cruise photos we've seen have involved families or travel groups planning their Kodak moments in advance. That could be as simple as getting the ship's photographer to snap your photo when you're all dolled up in your formal night attire; we were wowed on Carnival by a group who matched the husband's ties and vests to the colors of their wives' dresses. Print up group T-shirts or hats for the trip, and take a picture in your matching outfits. If you dig costumes, bring your own for Halloween or Santa's hats for holiday cruises. Some lines even have costume racks so you can dress up before your professional photo session; we dressed up in pink go-go boots and matching feather boas for silly shots on a Holland America cruise. If you don't want to pay the high prices for professional pics, bring a tripod for your camera, and take your own group shots. Read this: Make the most of your cruise memories with these photo tips. Maybe now's the time to try rock-climbing, surfing, zip-lining, fishing, kayaking or a number of other activities. Onboard, knowledgeable crewmembers can guide you to a new cocktail or wine you might enjoy, a spa treatment out of the norm (like a 24-karat gold facial, seaweed body wrap or a Thai poultice massage) or an activity you never knew you were good at (like line-dancing or making towel animals). 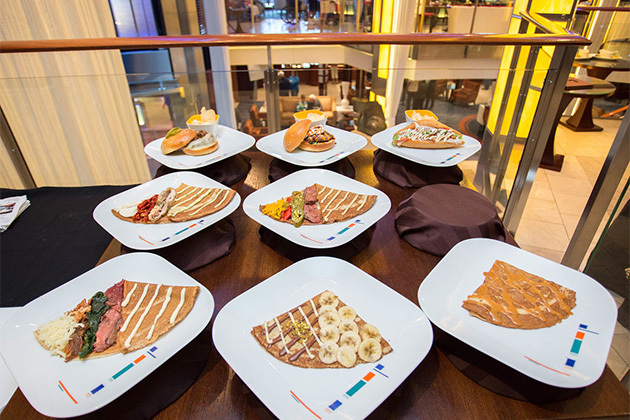 Enrichment classes can introduce you to new hobbies -- try art workshops on Crystal, cooking classes on Oceania or lessons on digital photo editing on Holland America. One moment of fearlessness might just lead to a lifelong passion -- or at least a good laugh that you'll remember long after your cruise ends. 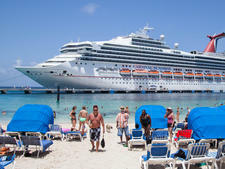 Read this: Want to plan a cruise around expanding your horizons? Here are our best bets for enrichment cruises.